The President of the United States of America is said to be one of the most powerful people in the world. So naturally, to understand past presidencies you want to get as close as possible to key presidential decisions. 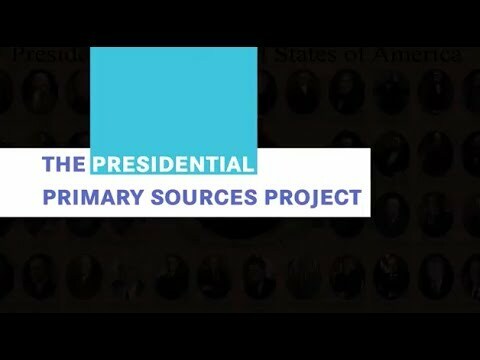 For that you need access to primary sources, and that is exactly what The Presidential Primary Sources Project (PPSP) is doing. PPSP is a collaborative program sponsored by historic sites and museums, the National Parks Service, U.S. Presidential Libraries and Museums, and the Internet2 community. The goal of the annual project is to engage classrooms throughout the national and international education community with an overarching theme, utilizing primary source documents for student research and presentation. Since 2012, PPSP has given students from all over the world access to primary source documents, shedding light on different aspects of the American Presidency, from John F. Kennedy’s relationship to the Civil Rights Movement, over the Truman Doctrine to Woodrow Wilson and the League of Nations. Most recently, the free interactive classroom videoconferencing program series has focused on “Culture, Society, and Presidential Decision-making”, featuring topics like “Ulysses S. Grant and the Rise of the Women’s Rights Movement”, and “Propaganda Posters of World War 2”, presented by experts from the Ulysses S. Grant National Historic Site and from the Harry S. Truman Presidential Library. In addition to live interactive discussion, primary source documents are used extensively during the presentations. Each program is also streamed and archived for on demand viewing. Please visit https://k20.internet2.edu/presidents to view archived programs. The Presidential Primary Sources Project is part of the K20 initiative, bringing together Internet2 member institutions and innovators from primary and secondary schools, colleges and universities, libraries, and museums to extend new technologies, and content to all educational sectors.